The Mariners welcome current Ebac Northern League first division leaders Darlington 1883 to Filtrona Park on Saturday, January 5th for the return league fixture, kick off at 3.00pm, and hoping as ever that weather conditions prior to and on the day are conducive for good football with a dried out surface to help produce a good standard of football for the players to perform to their best ability. The ground staff and supporters association volunteers have been busy doing what is necessary to make the pitch playable since Monday after the saturation it has received recently and will continue up till the day of the game on a daily basis. Darlington have a huge following when compared with average Northern League clubs and given fine weather a bumper gate is in prospect the like of which Filtrona Park will not have seen for many years. With both Sunderland and Newcastle not playing at home on Saturday, the attraction of this particular match is hopefully also much enhanced and it is very much hoped that many local football fans of all persuasions will be present for what promises to be a most entertaining encounter. Both clubs are in starkly contrasting situations, with Darlo leading the pack at the head of the league table with a declared ambition to try and achieve promotion to the Evo Stik League at their first attempt, in an effort to make good from what many consider was the unfairness of the FA in their four league demotion, to which all fair minded people wish the club all the very best. For Shields a game to try and rise to an occasion to match the visitors as was done at the October 10th game at Bishop Auckland's Heritage Park venue when Darlo ran out most fortunate 2 : 1 winners, with a gifted goal in the fourth minute of time added on and for Shields being cruelly denied what even the home supporters said was a perfectly good goal that was most controversially disallowed. But however as said on many occasions, luck plays a part in games and good luck is never apparently available when you occupy the wrong end of the table. With the return of talisman Ramsey to the side, and given service to him from the midfield, he and his colleagues upfront and whomever is selected for midfield and defence will have to produce individually and collectively a game of real standard. Points are now precious for Shields in this the second half of the season if they can raise themselves to escape relegation, as all Mariners supporters fervently hope. That said, and all things considered, a grand game is looked forward too and most hopefully with something for Shields at the end of it. For the information of all intending to attend, ground admission prices will be unaltered. The Shields 'Gazette' is publishing a special feature for readers interest and information which will include a flash back from the pages of history when the clubs first met in competition in the North Eastern League in 1908 and down the years since. Darlington 1883. AWAY. P13. W9. D0. L4. F37. A17. Total GD 52. League table position 1st, with 64 points from 26 games. Form table position 9th, with 10 points from the last 6 games. South Shields. HOME. P11. W2. D1. L8. F16. A33. Total GD -48. League table position 24th, with 10 points from 22 games. Form table position 23rd, with 0 points from the last 6 games. 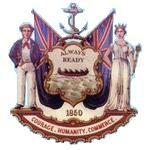 Re: SOUTH SHIELDS v DARLINGTON 1883, SATURDAY, JANUARY 5th. So far so good weather-wise and most hopefully to continue as is, if the forecast proves true to prediction. A cold wind but dry for the weekend in Northern parts, without tempting Providence and to spoil all the efforts of ground staff and supporters association volunteers and all their good work all week in an effort to get this most important game to be played, for all good reasons both on and off the pitch. No games at St. James Park or the Stadium of Light for Newcastle United and Sunderland tomorrow, so most hopefully all local footy fans of all persuasions will turn up to support the town club with their encouragement and to help swell what promises to be a bumper gate at Filtrona Park together with the legions expected from Darlington in what could maybe be a 1,000 plus attendance. Who knows even a new ground record, set at 1,500 in games against Spennymoor United and Hartlepool Town quite some years ago, given most hopefully fine and good weather we shall see, its all fingers crossed. Everything is ready, all preparations have been made, the club is prepared to welcome our visitors and to repay the grand hospitality and friendship and good sportsmanship shown to Shields supporters in October at the first encounter. Last edited by passtheball on Fri Jan 04, 2013 6:28 pm, edited 1 time in total. I ran the rule over the lads at training last nite. gus was putting them through a great session. good squad in attendance fifteen/eighteenish, morale and team spirit was high. I fancy us to get a surprise result tomorra. If these lads cant give you wood, then no-one can! Latest is 3-0 to Darlo-Shields obviously starting the year as they mean to continue.Penrith won today so now 11 points from safety-got absolutely no chance of survival.